Surprisingly, while researching for tips & tricks on how to write a blog, I came up with some amazing dos and don’ts for this article. This is exactly how you should begin – research, research, research! Kids write stories; Adults create content; Legends research & write blogs! 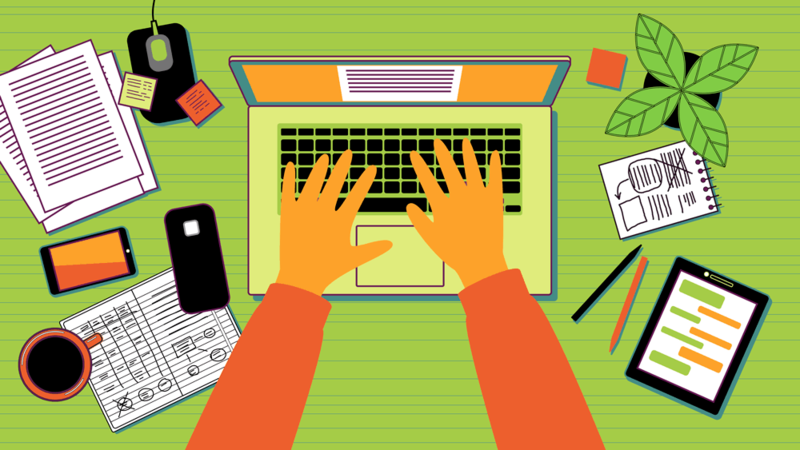 If you are a marketer, you probably understand the impeccable importance of blogging. It is like the hand of SEO & the leg of social media marketing; not that your marketing efforts will die without blogging, but they will become stronger with it! Blogging can give those awry internal links for better SEO ranking, unique content for social media & valuable call-to-actions for generating more leads. So why, oh why, fear to blog? Writing a blog doesn’t have to be complicated always. Putting your research & knowledge in simple words is just what is needed. But if you’re new, you must be worried where to start from, right? Some basic tips can help you hammer out excellent blog posts every day as long as you love writing and truly know the subject. Who do you wish reads your blog? What is their thought process? What would they like to read? How would they respond? Ask these questions before beginning to write. Consider your audience’s behavior while you’re deciding on a topic for your blog. If your target audience is entrepreneurs looking for inbound marketing services, don’t tell them what “Facebook” is; rather tell them how can it be used for their business. This might lead to creating an interest in them for your company and in turn generate a lead. The first impression is the last impression! The title gives the “first impression” to your blog. These are the most important words that decide whether your blog shall sink or shall sail. Hence, decide on one that describes the nature of your blog well and gives it a great launch. How Much Does it Cost To Develop Your Own Coupon App? If you’re still having trouble coming up with a title, check out this tool by Hubspot that can help you with some awesome ideas. Once you have attracted the reader with your title, the next priority is to retain them until the end. A great start can keep them interested to read further. You can do this by questioning, telling a story or joke, stating facts or quoting some lines to create a connection. The intro must be able to briefly explain them the purpose of the blog or how it will be helpful for the reader. This will help them to decide whether the blog interested them or not and can create an instant connection. How would you like it when you are reading a newspaper? All information dumped in one single flow or in a well-outlined form with sub-headings? The latter one, right? Sometimes, there is a lot of content that we need to put on the blog. The trick is to organize it well so that the readers don’t get terrified looking by the length. This can be done by creating sections, lists, giving subheadings etc. Whatever the content may be, until organized it remains unattractive. As much as the organization of the content matters, the keywords, links & visuals hold the same importance. Don’t stuff it but smartly place it. An effective SEO tip. Social networks treat content with images more prominently. Create infographics if required or give stats in a graph form. This can make your blog visually appealing as well. Have you written all the important points you had in mind? Given out all the information? Now is the time to sum up your key message. You might even want to prompt the reader to take an action. Ask them to like, comment, share or direct them to the landing page of your choice. Promote your product or services smartly. Check this blog to get a fair idea about how you can evoke a reader to react. You do not want your readers to point to any mistakes in your writing. Proofread! Edit whatever is necessary – spelling, grammar, sentence or structure. After writing the content, this shall be the most important step. After you finish writing, begin optimizing your post for search. Place keywords properly, write meta descriptions and meta tags, give page titles and header. Optimize your blog for SEO activities. Do not use black hat tricks, Google is smart! The last step to blogging is to driving traffic to your blog page. Share it with your email subscribers & post it on social media platforms. If they like it, they will share it. If this article helped you in writing, give us the link to your blog. Or ask your queries in the comment section, if any. We would be glad to connect. Hello, this was a piece f very useful information. I always wanted to have a blog of my own and make it popular. These points i suppose would help me achieve my goal in future. Thanks and regards! 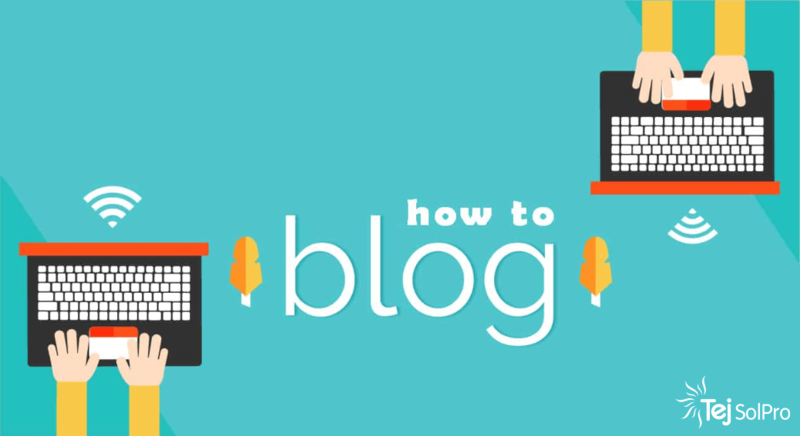 Hello Ankita, this post will be of great help to those who have started making blogs recently. Thanks for the share!